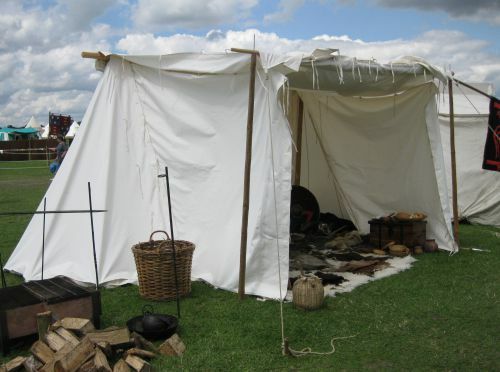 The Saxon tent is a historical “ridgepole tent” out of the Early Middle Ages. 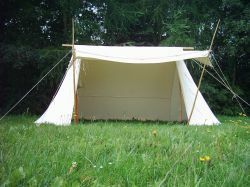 The form of the tent is made after the urtent “Geteld” of the Utrechter Psalter (circa 820 AD) and has bells at both sides. Our reconstruction with the entrance of the side wall is out of the time about the 12th century, whereas the side wall can be opened completely. 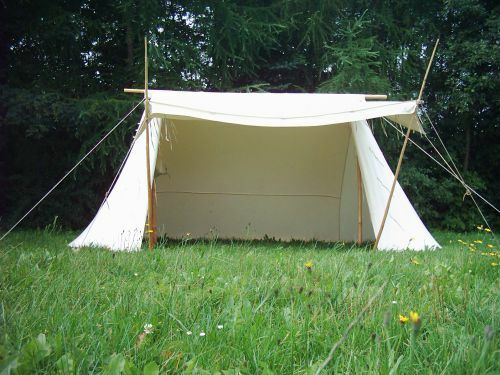 The older variant with the entrance at the bells is also available if desired. The gable is open which means at each ridge end is a vent.